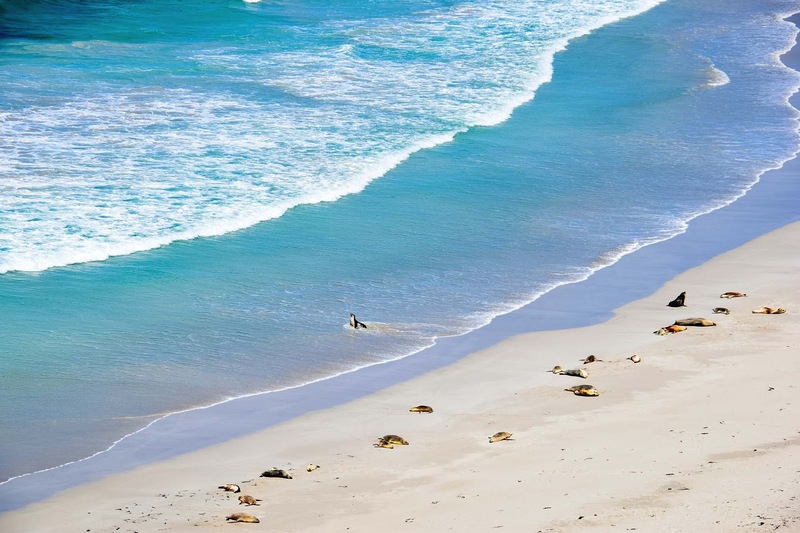 Seal Bay Conservation Park on the southern coast of Kangaroo Island is the home to a unique, wild colony of approximately 1,000 Australia Sea Lions. 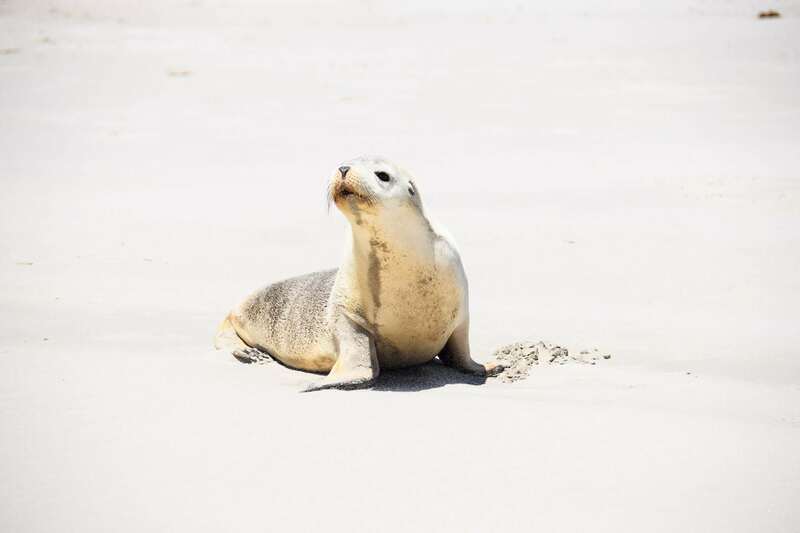 It’s also one of the most popular attractions on KI, with thousands of people flocking to visit the cute little seals that call this beach their home. 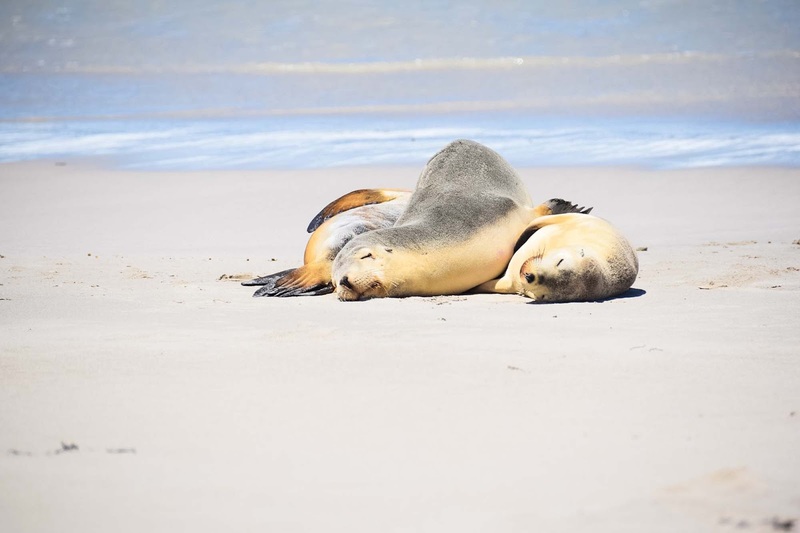 Claimed to be one of the rarest species in the world, Seal Bay is the only place in the Australia where you can enter a wild colony of Australian Sea Lions and watch them living their authentic lives with each other. 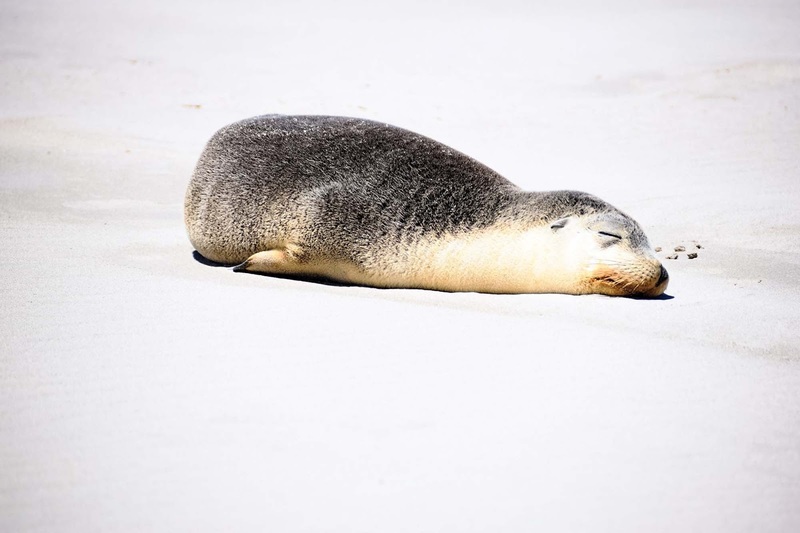 Mothers feeding their babies, teenage seals playing with each other, parents heading out to the ocean to feed, and of course lots of lazy naps on the shore in the sun. 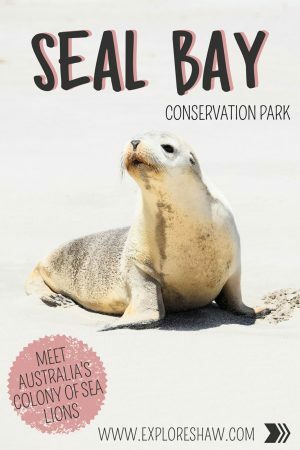 Home to the third largest colony in Australia, the chance to get up close and personal with these little guys is not to be missed. 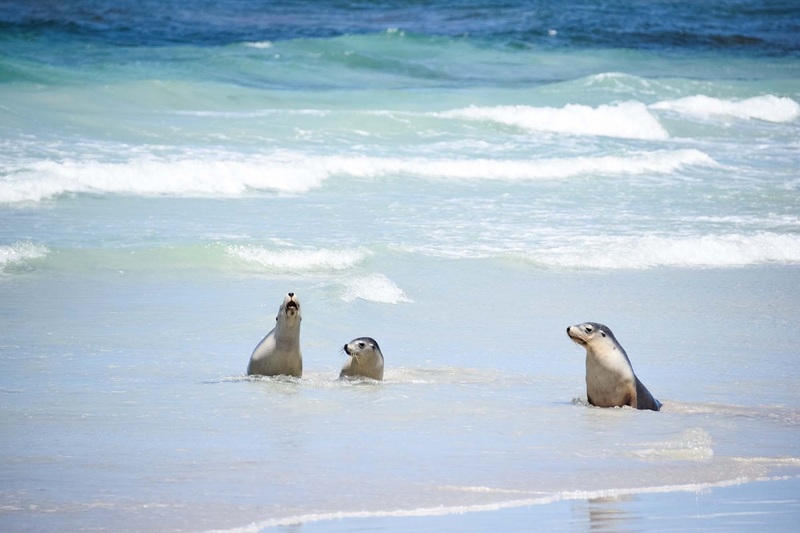 There are always heaps of seals enjoying the shores of the bay, so no tour is ever without action. 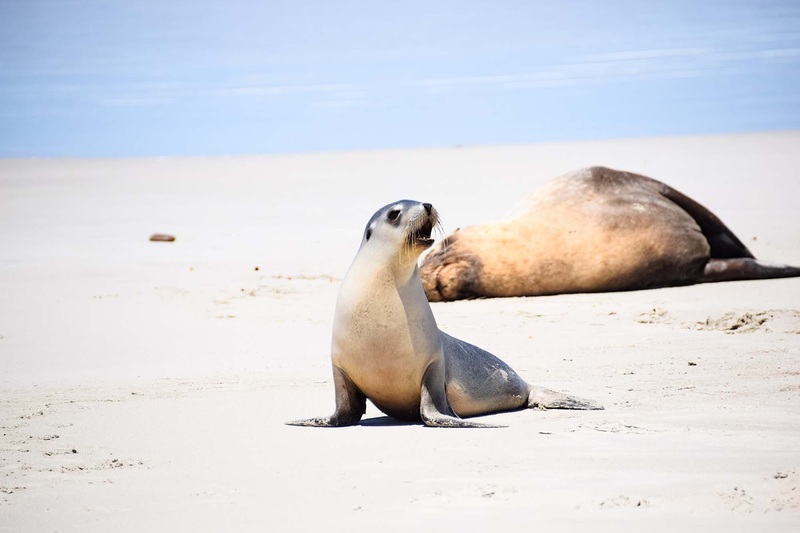 The Australian Sea Lions in Seal Bay are not domesticated, with no cages or enclosures in the wild colony and no expectations placed on the animals. They are completely free to come and go as they please and their location and behaviour change from day to day. 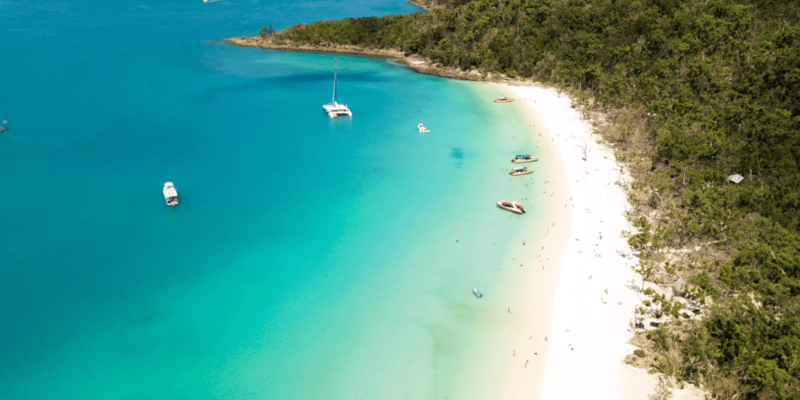 The sea lions are not the only highlight of Seal Bay, with the stunning white sand crystal clear beach providing a beautiful backdrop all of it’s own. During the winter months, the sea lions like to move back into the sand dunes for warmth, so you can often find them in the strangest places as you explore along the boardwalk between the beach and the Visitors Centre. The only way to get right up close to the sea lions is by paying for a guided tour. This ensures that the sea lions aren’t overwhelmed by a large number of people or mistreated by visitors who aren’t being supervised. 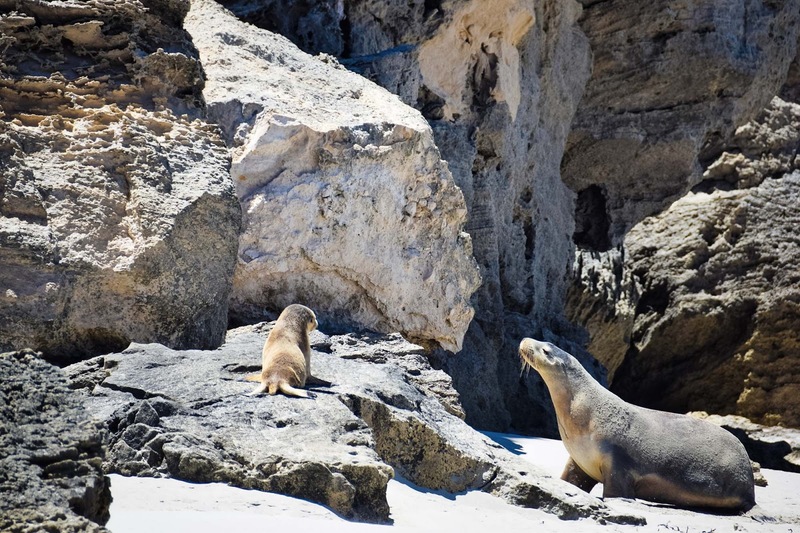 The Seal Bay Experience provides a guided tour where you can walk right off the platform and onto the beach. 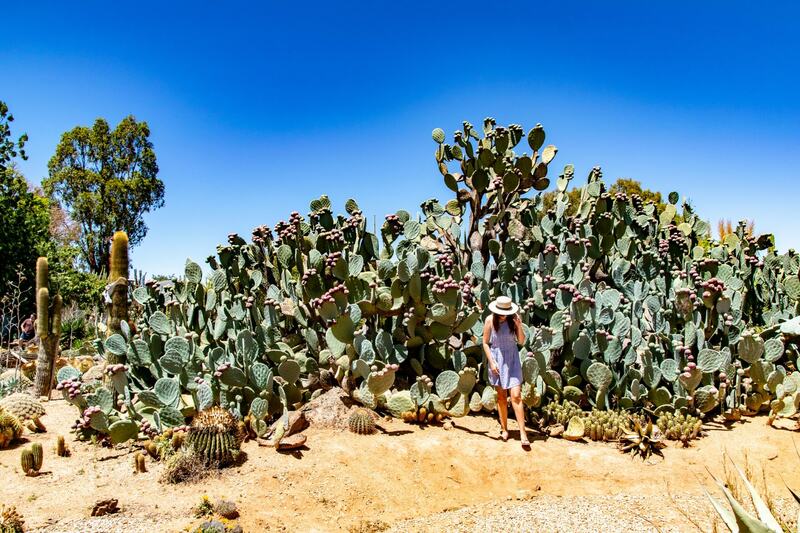 You are able to get up close and personal with these interesting animals and learn all about their lifestyle and behaviour from the conservation guides. The tour runs for 45 minutes and also includes a self-guided tour of the boardwalk back to the Visitors Centre. Tours run every 45 minutes from 9am to 4pm, with additional tours added on long weekends and school holidays in summer and autumn. Check out the Seal Bay website for exact times and booking information. Ticket are $35.50 AUD per adult, with discount tickets available for concessions, children and families. 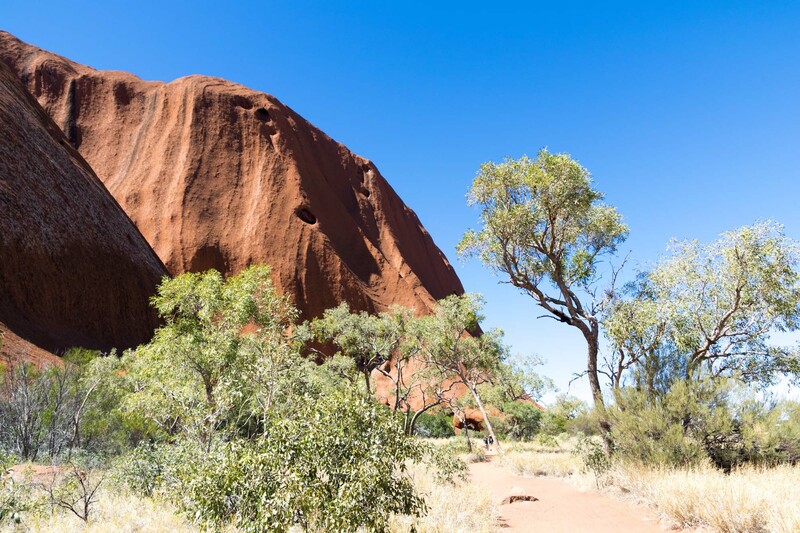 Top tip: if you’re hoping for a less crowded experience, book a tour before 11am or after 1pm, with the middle of the day being by far the busiest with tour buses and tourists. 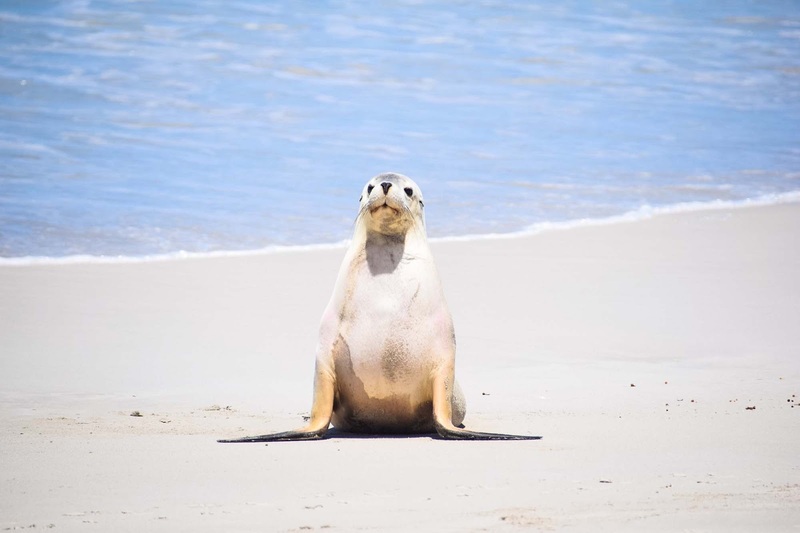 If you prefer to stay a little bit further away from the action, you can still visit Seal Bay and take yourself on the self-guided, tour of the boardwalk. 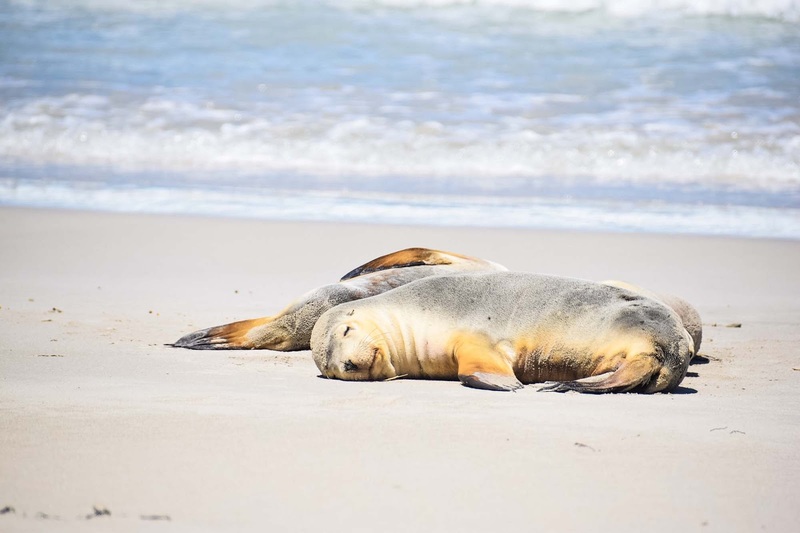 The boardwalks loop around most of the beach and offer views over the beach, as well as a look at some of the places the seals live during the night and the colder months up on the shore. You can take as long as you like walking around the boardwalks, and there are lots of different information boards to give you an insight into the seal colony and their lives. 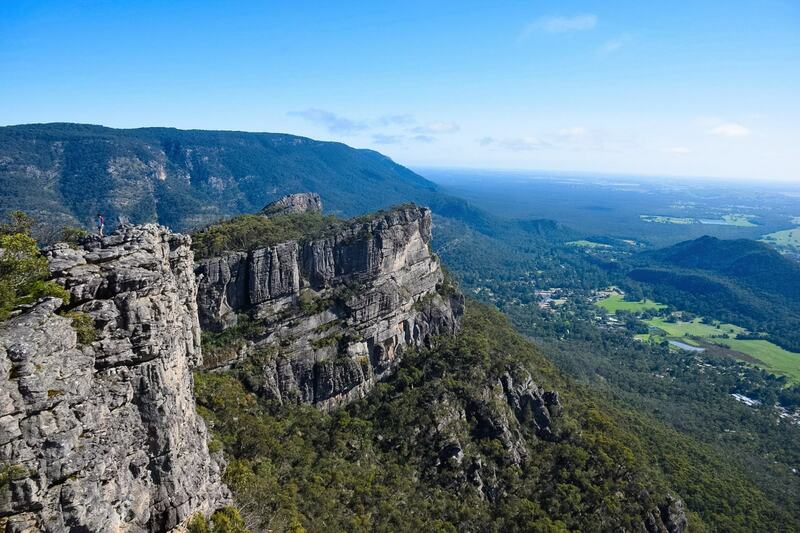 Tickets for a self-guided boardwalk tour cost just $16 AUD per adult. 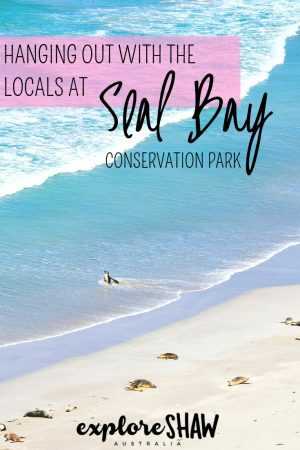 For a free experience, you’re welcome to pop into the Visitors Centre where you can check out some of their brand new interpretive displays, which takes you though the history of seals and human interaction and some of the recent sea lion research around the seals that live at Seal Bay. 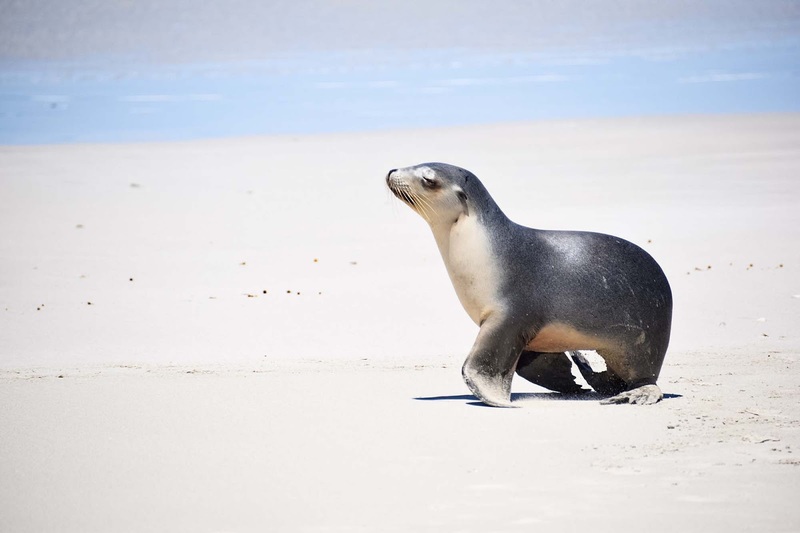 It’s so lovely to watch these cute little guys just living their lives on the shores of Seal Bay. 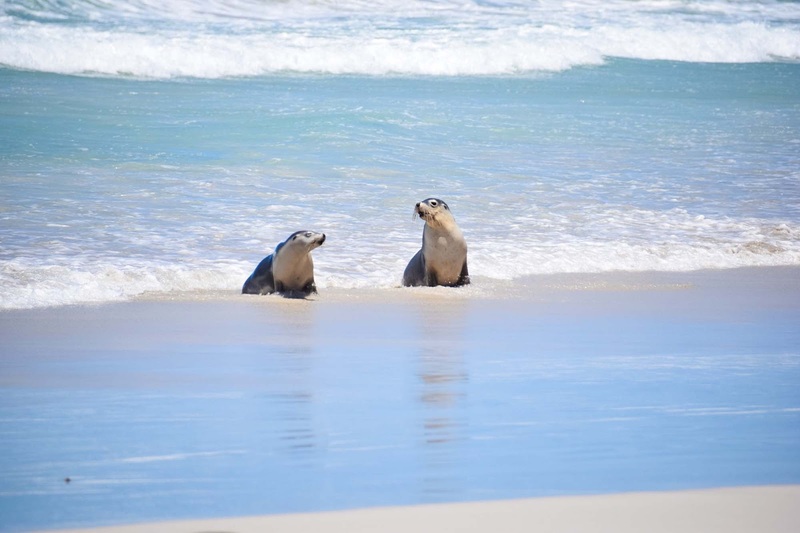 As we sat alongside them we watched young seals playing in the water, teenage seals having a little fight on the shore, seals roll in from the ocean after a day of searching for food and what even looked like a group of seals just gossiping and hanging out in the shallow waves. It’s great to be able to get up close and personal with the seals, and really get an insight into their habits and natural behaviours. Plus, they all look like they’re smiling when they sleep and it is super cute! 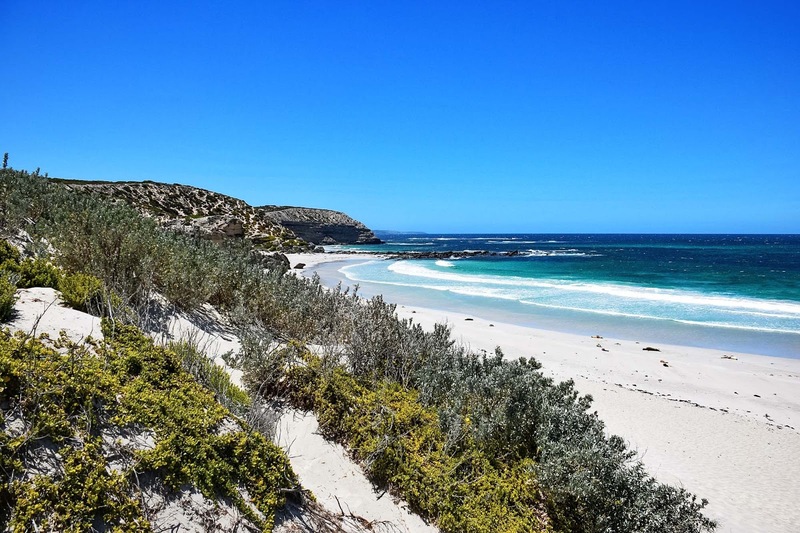 Check out the best places to stay around Kangaroo Island. 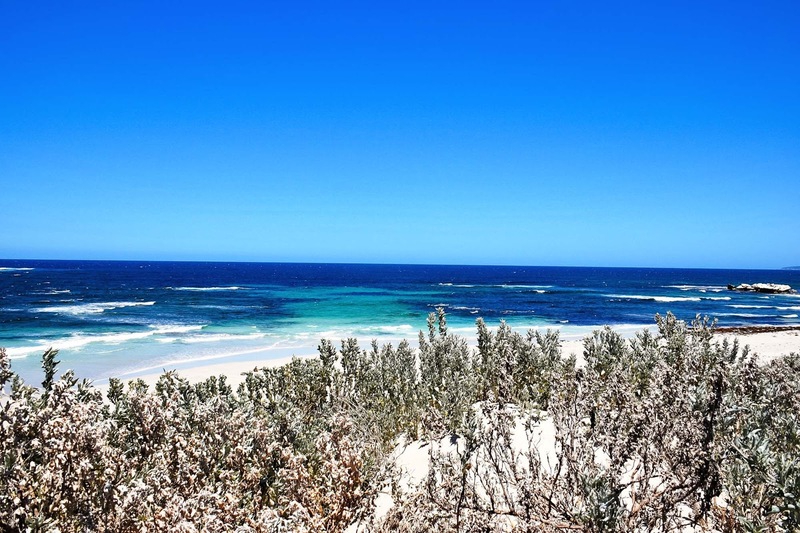 Seal Bay Conservation Park is located at Seal Bay Road, Kangaroo Island. Pretty much just head to the southern side of the island and follow the signs, you can’t miss it. 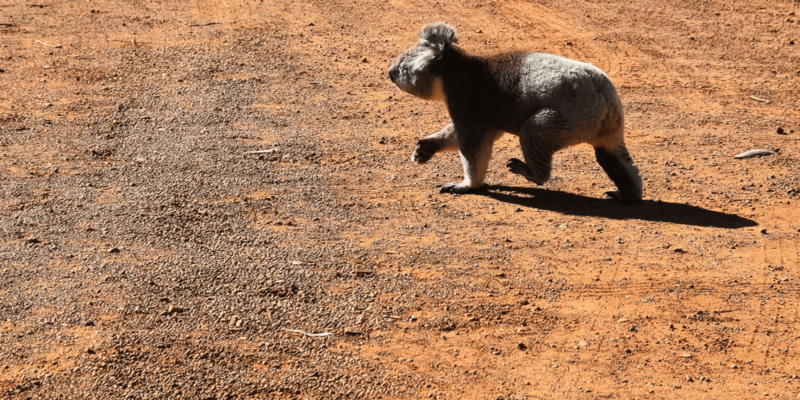 For more wildlife adventures around Kangaroo Island, make sure you check out Hanson Bay Wildlife Sanctuary, where you are guaranteed to spot koalas in their tall gum trees, and there’s often a whole lot of kangaroos hanging out as well. 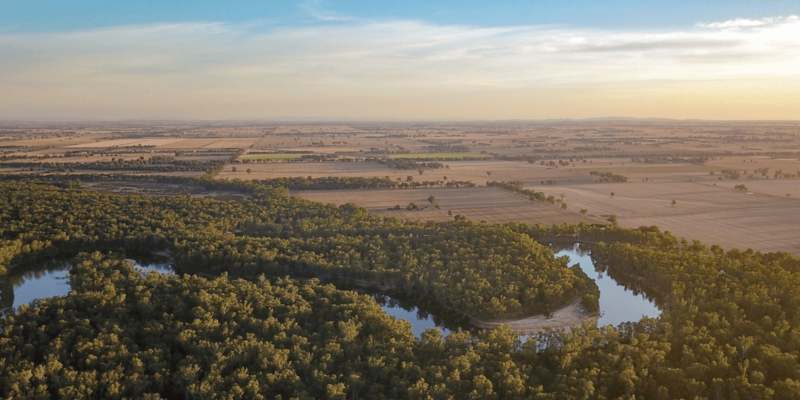 Explore more of our adventures across Kangaroo Island.